As we learn more about yesterday’s horrific tornado outbreak I am still thinking about writing the blog this morning. I will start up a new blog by around noon today. Thank you for posting some of the videos. Check back in later this morning and have a nice day. It should get close to our forecast high of 71 degrees today. I am in awe……scared……almost don’t believe what I am seeing in today’s horrific tornado outbreak that isn’t over yet. 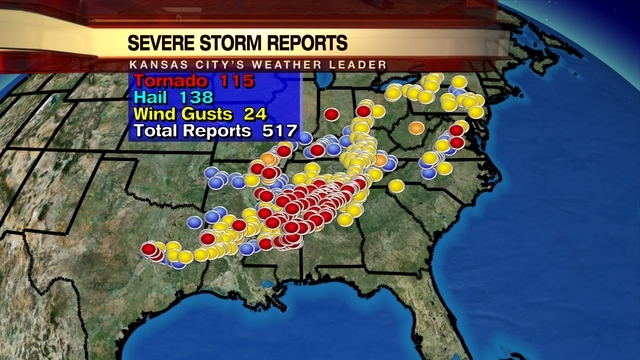 There have been over 100 tornado reports and a few of the tornados have been EF4 and possibly EF5 strength. 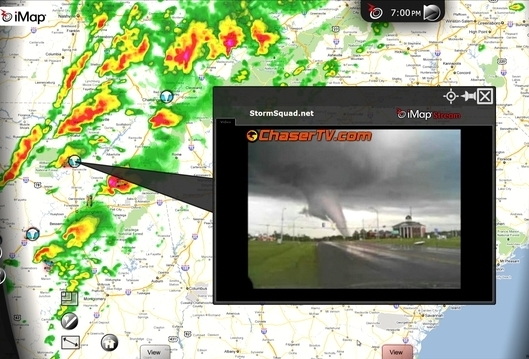 Here is one from our TornadoAlleyLive.com site in Alabama. Conditions just became perfect for tornadoes today and there have been so many tornadic supercells with just perfect rotation. The weather will be calming down for a while after this system lifts out later tonight. Just saw some footage on the weather channel from Birmingham, absolutely unreal! Very scary, it looked like the entire thunderstorm went to ground level. The phrases “debris ball on radar” and “debris being strewn over 100 miles” sounds really horrible. Let’s all pray for all the people that have been affected or may be affected by these storms today and tonight. This is so incredibly sad and awful. I’m hoping that this “active” period ends very soon..
Copy/paste from facebook: Springtime PSA: While ‘tornados’ is technically correct (for some ungodly reason), please spell it the more correct way of ‘tornadoes.’ Think of it like potatoes or tomatoes. You wouldn’t spell those words correctly without the ‘oes’ so why is the word ‘tornado’ any different? Oh, this is an awful outbreak. I was watching those storms in Alabama today, and some of those supercells were staying together for hours. How do you do that to get pass the moderation thing? Gosh, if you are scared Gary, then I’ll be petrified! I get a pit in my stomach every time I see the devastation these twisters are creating to peoples lives and property. While I am bummed over the weekend rain chances, I guess it could be worse here. Gary – you said it was going to be windy on Friday, but who does the weekend look for winds? I’d like to get my horse out for a little ride without her getting nervous over wind whipped trees and bushes. The wind on Saturday will be gusty in the morning from the south at 15-25 mph, then it should become much less as a front moves through. Sunday will be cool, but winds will be from the northwest at 5-15 mph. 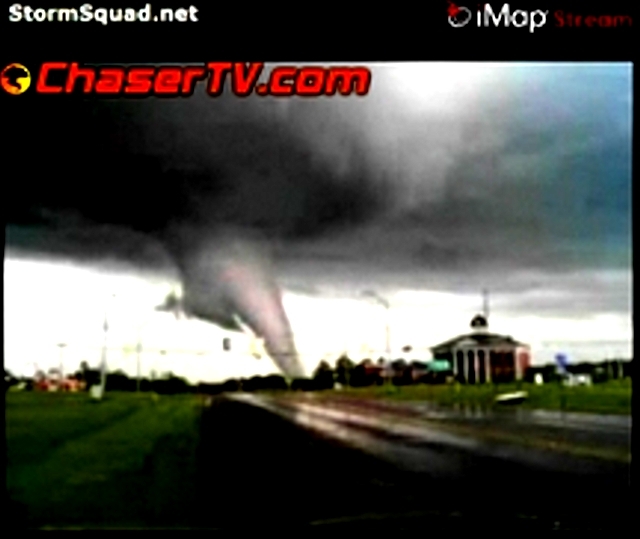 Here is another incredible video of Tuscaloosa tornado–up CLOSE by a chaser. Starting at about the 4 minute mark, they are literally across the parking lot from it and look to be in the inflow bands. Clearly caught off guard. The emotion of the storm chaser tells the eerie story. This was just one horrific day. Thanks for posting. I will show some of this on the air tonight. I am going to an elementary school today and I will still explain how rare tornadoes are, but this is why we all have to pay close attention to each threat. 160 reports of tornadoes for this event, but It’ll probably go down some. The super outbreak had 148.
death rate I believe is already higher than the 74 outbreak. I’m already seeing quotes from insensitive clods blaming global warming for this..
! that is the best way to describe what happened yesterday into this morning. I watched the large wedge pass Downtown Birmingham to the north and west live on TWC yesterday and I think that was the most unreal live shot that I have ever watched, even when the tornado was still almost 20 miles away from the city shingles and other lightwieght debries began to fall from the sky behing the TWC anchor. I have seen other video of the Tuscaloosa/Birmingham tornado and I dont think I have seen quite the impressive multiple vorticies ever before they were all over the place, some of them became rather large looking horizonal tornadoes cutting across the main one at a 90 degree angle, like a “medusa” of twisters inside one main funnel. It is really sad to hear about all of the deaths. Hopfully the tornadoes have blown them selves out for the season.